The kids are almost out for the summer! Could they use a new toy to play with? How about their own little clubhouse? They could spend hours here playing and using their imagination! Doesn't it look sweet? 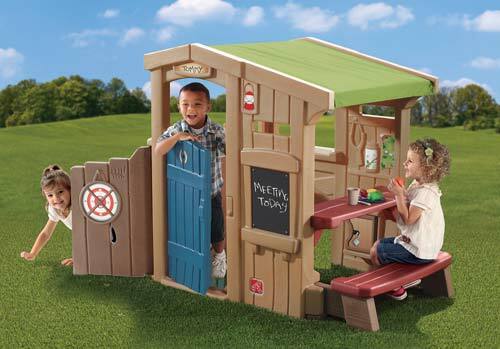 Here's your chance to win this $260 playhouse! Thanks to Mom to Bed by 8 and Mom Does Reviews for setting up this My Clubhouse giveaway! -Clubhouse can be used all year long. Bring it inside in the winter so the fun can continue. Enter on the Rafflecopter form below from Jun 4 12:01AM EST to Jun 24 11:59PM EST. Open to US, 18+. Good luck! Please take the time to enter my other giveaways while you're here. I love the giveaways on your site!